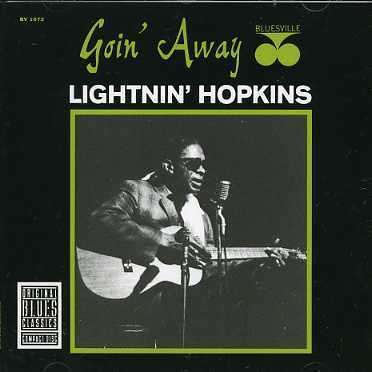 Der Artikel Sam Lightnin' Hopkins: Goin' Away wurde in den Warenkorb gelegt. Sam “Lightnin’” Hopkins, a true poet who invented most of his lyrics on the spot and never seemed to run out of new ideas, was a blues giant of post-war blues whose style was rooted in pre-war Texas traditions. While he cranked up his amp to fierce proportions when performing for his friends at Houston juke joints, producers who recorded him for the so-called folk-blues market usually insisted that he use an acoustic guitar for more “authentic” results. 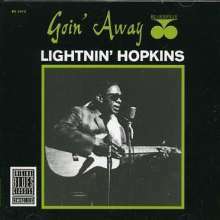 Either way, Lightnin’ seldom made a bad record, and this June 4, 1963 session on which he played acoustic was among his finest, thanks much to the sensitive support of bassist Leonard Gaskin and drummer Herbie Lovelle, who did a remarkable job of following his irregular bar patterns and abrupt song endings.